Welcome to the Daily Thread. During the month of June, we are talking NBA Draft. As we lead up to the 2018 NBA Draft on June 21st, we will be revisiting the Spurs draft choices. Today we remember the 2015 NBA Draft. Well after back-to-back trip to the Finals, the Spurs were knocked out in the first round of the playoffs in a nail-biter of a series against Chris Paul and the Los Angeles Clippers. The post season brought the regularly nagging questions: was this the end of the era? Would Tim Duncan retire? Would Manu Ginobili return? And what was to become of Pop if the Big 3 were no more? The Spurs put all of the energy into the free agency market sending Tiago Splitter to Atlanta to clear cap space for LaMarcus Aldridge, the most coveted free agent of the summer. In the meantime, PATFO used the draft as a bit of safety net. If Duncan retired, Splitter went East, and LaMarcus landed somewhere else, a need for a big man would be more imminent. As the 26th pick of the draft, Nikola Milutinov brought height and athleticism. Unfortunately for him, the positions were all filled. Milutinov has since played with Olympiacos Basketball Club in Greece where he has been a League Champion (2016), Most Improved Player (2017), and played in an All- Star Game (2018). Check the comments on PtR regarding bringing players over and Nikola is still a buzz with Spurs fans. In the same vein, the Spurs drafted Cady Lalanne in the second round as the 55th pick. The 6’ 10” Haitian currently plays center in Turkey. Before heading overseas, Lalanne played with the Spurs in the NBA Summer League Championship in 2015. He also played with the D-League affiliate Austin Spurs in 2015 before returning to Summer League action in 2016. 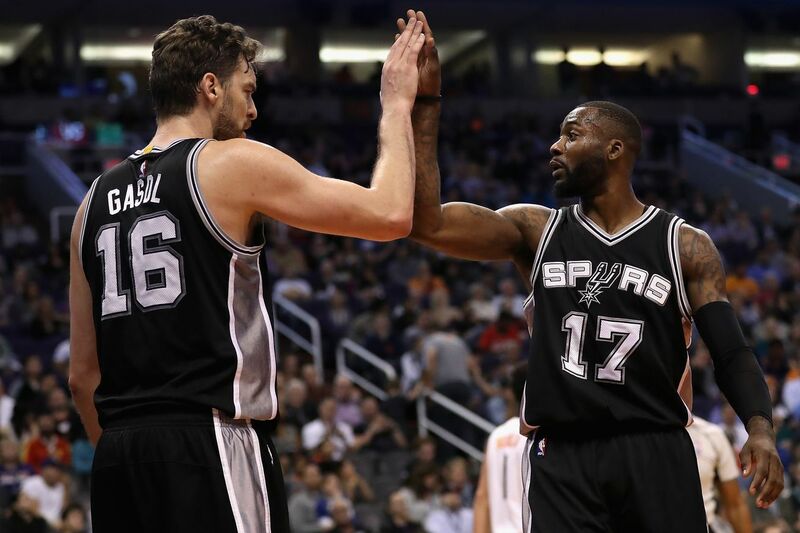 Instead of playing either draftee, the Spurs signed Serbian center Boban Marjanović and D-League Cinderella story Jonathon Simmons in the summer and catapulted the careers of both, watching them pack up and head out for multi-million dollar contracts after one season. But for the draftees chosen the summer of the Spurs biggest free agency push since Bruce Bowen, their careers never quite fused. Although Milutinov and Lalanne have shown they have basketball chops, neither has yet to make it to the NBA.